A very professional company with good customer service, where nothing is too much trouble. The staff are friendly and welcoming and the salon provides excellent value for money. The best salon I have been in. Well where to start?! This salon has thought of everything to make your visit as relaxing and comfortable as possible. From the moment I walked in I felt relaxed, the decor, service and ambience is like no other salon I have ever been too. 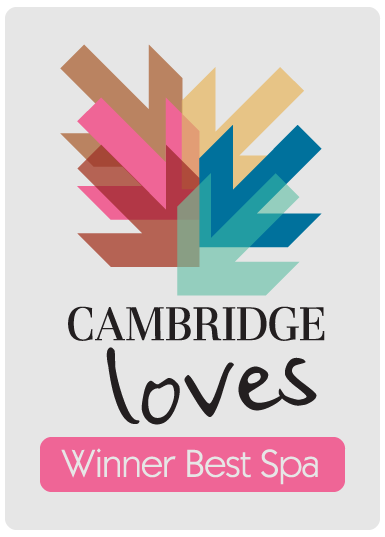 I have had a number of treatments here now and each one has been thoroughly enjoyable with amazing results. The girls that work there couldn’t be more welcoming and friendly, but also very professional and knowledgable. The relaxation area is a nice touch for after the treatment… I could stay there all day! They also have their own car park which is a bonus! I would recommend this salon to everyone looking to unwind in a beautiful salon, great products and services at great prices! Also subscribe to their mailing list as the monthly promotions are fab! I went to Sanctum Beauty as a friend recommend I try their hot stone massage. The decor, service and general feel of the place is unlike anything else in the Cambridgeshire area. Looking at the salon, you’d think it costs more than it actually does, it’s absolutely stunning, but very reasonably priced. The therapist I had was very professional, didn’t keep me waiting and most importantly, gave a very good massage. After it’d finished, I used the shower room which was nice as I didn’t want to walk out covered in oil. They have a relax room with massage chairs, which I thought was lovely because I didn’t feel like I was being rushed out of the door like you do in a lot of other salons. They also have free parking at the back, so there’s no worrying about getting a ticket whilst you’re midway through your massage. I’d say its a great place to go if you want to treat yourself without spending a fortune. They have thought of everything to make your stay as pleasant as possible and I look forward to visiting again.